Have you ever stopped and considered how every day things around you are made? We&apos;re talking about the things that you might use in your job every day yet have never really given them much thought. We take these things for granted, but not anymore! Today we are going to delve into the life of a stapler. How is it made? What is the process involved? All those burning questions you’ve been dying to know – we have the answers. A stapler is an incredibly useful tool that is mostly found in offices and educational settings. A lot of people also own their own at home! It&apos;s used to fasten together sheets of paper with staples. They are available in a number of different colours and sizes. A stapler comprises of many components! The majority of this is metal stamping and spring parts. 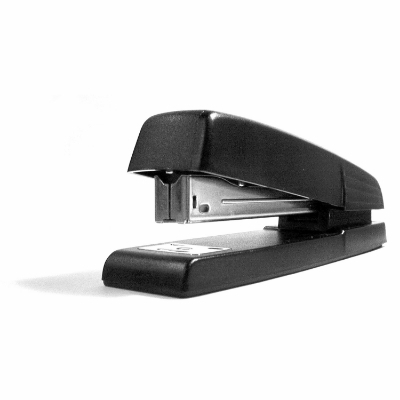 In an average office stapler, there are around 8 different parts. This includes the metal head, magazine, anvil, base, staplers, pin, springs and the hanger. The magazine is connected to the head and is the part that homes all the staples. The hanger is the piece that connects the head and base together. The pin is the part that you see at the back of the stapler, which is responsible for letting the head swing up so that staples can be inserted. The springs in a stapler, the coil and the leaf, are used in two different ways. The coil spring is made from metal and is able to endure constant pressure whilst maintain its shape. The material of the coil spring is first wound around the correct sized rod, and is then heat treated. The aim is to make changes in the characteristics of the metal – to give the metal elasticity. Once it has been heat treated, it can be pulled apart and pressed together – and always return to its original state. This is what is used to hold the staples to one end of the magazine. The second spring used in a stapler is a leaf spring. This is made from bending (or rolling) a thin piece of steel and then heating it to cause internal stresses. It maintains the flat or curled position and will resist a bending motion. This type is used on the underside of the stapler, which allows you to unlatch the base from the metal head and magazine. There are a lot of other parts that go into making the stapler – but we think the springs are the most important. As leading experts in the field of spring manufacturing and pressing, including being disc spring manufacturers , we provide our clients with the best springs and pressings all over Europe. To find out more about what we do or if you have any questions, please don&apos;t hesitate to contact us . You can give us a call on 0208 663 1800 and a member of our team will be happy to help.